Edmund PERRY (1588 – 1637) was Alex’s 11th Great Grandfather, two of 4,096 in this generation of the Shaw line. Edmond Perry was born on 27 Jan 1587/88 in Devonshire, England. He was the son of John PERRY and [__?__]. His mother was probably not Judith VASSELL (1567 – 1650). He married Sarah BETTS in 1613 in Bridford, Devonshire, England. 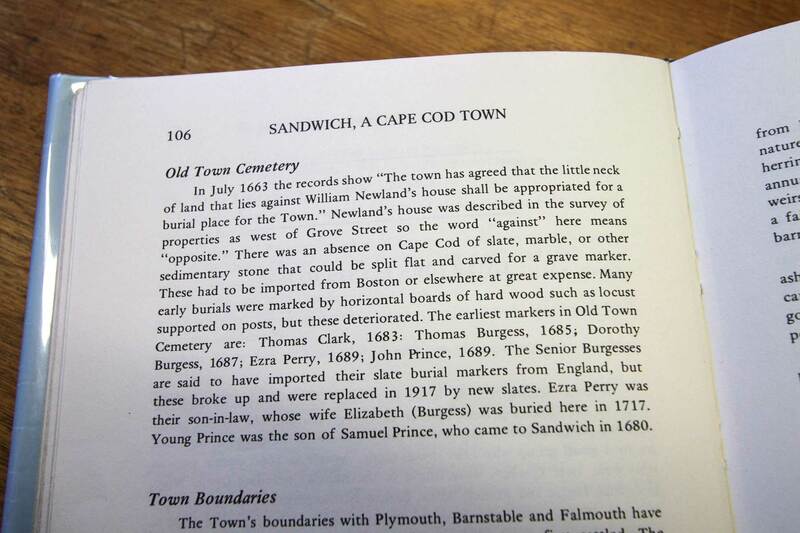 Edmund reportedly emigrated to Plymouth Colony (Sandwich) in 1637 and died shortly thereafter. Another source says Edmond Perry and his wife Sarah cam to America in 1639 on the ship “Lion.” However Irving says Edward died in 1614 before the rest of his family emigrated to America. This theory says that Sarah Perry, the widow of Edmund Perry, emigrated to America with her children, but no husband. Sarah Betts was born about 1592 in Devonshire, England. Many sources say her maiden name was Crowell, she was born in London and her parents were John Crowell and Elishua Miller. I don’t think so because John and Elishua were the parents of Sarah’s daughter-in-law Elizabeth, her son Arthur’s wife. I am beginning to think that Sarah’s maiden name is really lost to history (See the discussion under her son Arthur Perry and daughter-in-law Elizabeth Crowell) She is mentioned as being a Quaker. 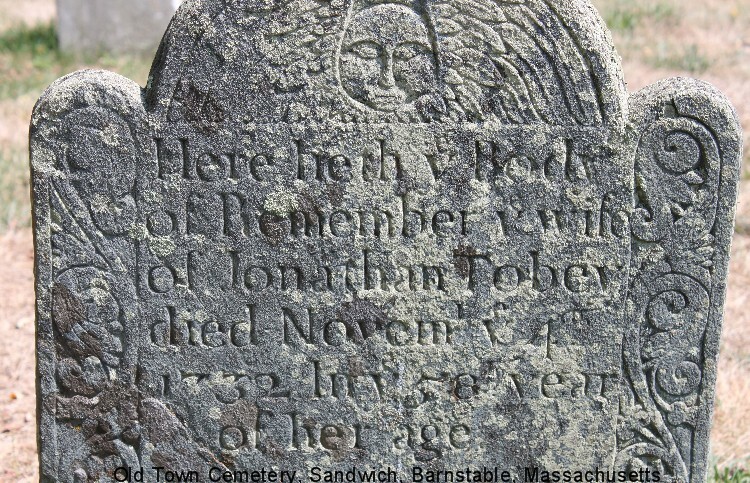 Sarah died 07 Jun 1659 in Sandwich, Barnstable, Mass. Boston, Mass. 9 Oct 1652Boston, Mass. After Sarah Perry died, on 7 of June 1659, Plymouth Colony Court (Records, Vol. 3, p. 163) authorized Ezra Perry to serve as executor of the estate of the widow, Sarah Perry, “there being no other (although she hath many friends in the Country) that claimeth any interest to the estate, having put in securities into the Court to be accountable for the estate in case it shall be required by any that hath better title thereto…” Ezra presented the inventory of the estate the following day. An Inventory of the goods of Sara Pery of Sandwich lately deceassed taken and prissed [appraised] this 8 of June 1659 by them whose names are under written. I agree that Edmund and Edward are equivalent names in this time period. If both names or both possible readings of the early records exist, how is the father/son relationship determined and how do we know that there are actually two individuals being referenced and not just Edward who d in 1694? The first reference to Edward in Sandwich, Plymouth Colony was in November, 1652, when he was a member of a committee to acquire and store fish for the town’s use. (Canfield, Rosemary, “Rhode Island Descendants of Edward Perry,” 1988, Pacific Grove, CA, p 1, privately printed with limited distribution to libraries, including the Wilcox Library, Westerly, RI). Have you seen an earlier record? The NEHGR article concluding that Ezra was the stepson of Sarah is secondary, but references the Plymouth Colony Court Records, vol 3, page 163, dated 7 June 1659. Are you saying that you have looked at the Plymouth Colony Court Records and could not find the appointment of Ezra as executor of Sarah’s estate “there being noe other (although she hath many friends in the Country) that claimeth any interest to the Estate, …”? I have made one serious attempt to track down the source of the Edmund name while visiting the NEHist Gen library and the advice from one of the experts there was the same as you mentioned. The names Edmund and Edward could be one and the same in the original records of the mid-1600s. But where in the records is Edmund named? I have not found one reference documenting the source of the name. As far as Edmund being the son of John, this also needs documentary support. It sounds like a guess and wishful thinking on the part of someone trying to count coup by adding another generation to a pedigree. The NEHGR article says the first mention of Ezra in the records is in 1644. I agree these are secondary references, but they are documented. Is the documentation incorrect? What is the documentation for Edmund? You mention people who refute Brownson and McLean’s conclusion that Sarah was Ezra’s step-mother. I have not found a published refutation. I have found numerous claims that Ezra, Edward, etal are the sons ofEdmund and Sarah, but never any documentation. Is there a source other than Sarah’s Estate settlement which Brownson and McLean in NEHGR effectively for the stepson/stepmother relationship. As far as FHL film numbers take a look at: 0567792 “Plymouth Colony records, court orders, 1633-1690” Vol 1-3. Vol. 4-6 are found on Film 0567793. The Devonshire, England origin of the Perrys is based on family tradition that was passed down over seveal generations in Edward’s family. I don’t know if the same tradition was also passed down for descendants of Ezra or the other Perrys in Plymouth and Massachusetts colonies that are often lumped together without documentary support as siblings. But here again, no one has been able to locate any Perrys in the Devonshire records. The tradition is pervasive enough so that there is probably an element of truth in it. The Perrys simply did not leave documentary records in Devonshire. Edward’s birth is estimated to have occurred circa 1630-1632. This is based on the 1652 reference in the Sandwich records and his marriage sometime in the 1650s. The earlier the reference to Edmund or Edward in the record, the more likely that it would be another person other than the future husband of Mary Freeman. But is there such a record? There are enough published accounts from creditable genealogists and historians (Brownson and McLean, Canfield, Samuel Eliot Morison for example) that could not find any support for Edward’s (and hence Ezra’s) parentage that anyone claiming that Edward was the son of Edmund needs to provide the documentary evidence for such a claim. Arthur’s wife Elizabeth Crowell was born in 1616 in England. Her parents were John Crowell (1590 – 14 Jan 1673 Yarmouth, Barnstable, Mass) and Elishua Miller or Yelverton (1590 – 1689) Elizabeth died 22 FEB 1696 in Boston, Middlesex, Mass. By wife Elizabeth he had Elishua (1637), Seth (1639), John (1642), Elizabeth (1647), Sarah (1647), and Deborah (1649). See Savage, 3:399. It’s interesting that Arthur’s mother and wife are both claimed to be Crowells. It’s possible that Sarah and John were brother and sister and Arthur married his cousin, but I haven’t found any direct evidence and am beginning to think that Sarah’s maiden name is really lost to history. Elizabeth’s father John Crowell (name in early times generally written Crow, but the present spelling became universal, as is seen on the Yarmouth, Mass., records), the immigrant ancestor, came from England and settled in Charlestown, Mass., as early as 1635. His wife preceded him the year before, and upon his arrival in this country had brought a house of William Jennings. John Crowell was town officer at Charlestown, and was given the title of “Mr.” reserved for ministers and men of gentle birth or superior station. He owned land in Malden and Dorchester which he disposed of, and in 1638 he disposed of his property in Charlestown. His wife Elishua united with the Charlestown church Jan. 4, 1634-35. Mr. Crowell was admitted a freeman in 1640, and was deputy to the General Court from Yarmouth in 1641-43. He removed to Yarmouth and took the oath of allegiance to the Plymouth Colony, Dec. 18, 1638; was a magistrate at Yarmouth as early as 1640. He died in January, 1673. His children, according to the Crowell Genealogy, were: Moses, baptized at Charlestown June 24, 1637 (died when young); John, born about 1639; Thomas; Elizabeth; and Elishua. It is in connection with Arthur Perry’s public duties for which he is best remembered in the records of the town of Boston, MA. In the absence of church bells and newspapers, Arthur called the general public to their house of worship on Sundays and for lectures on Thursday. He also set the clocks, proclaimed the laws, gave notice of town meetings, auction sales, the departure of vessels, advertised rooms for rent, children lost and found; and the new importation of goods. Arthur was an initial Member of the Honorable Artillery Company and was their drummer in 1638. Our ancestor Thomas HUCKINS was one of the twenty-three original members of the Ancient and Honorable Artillery Company, charted in 1638. Thomas bore its standard in 1639. 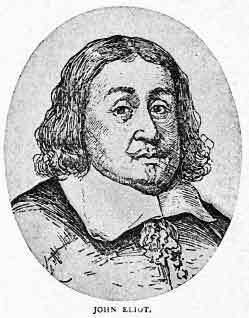 John Perry arrived in America with the Puritan missionary to the Indians, John Eliot. They came over on the ship “Lyon” in 1631, which left London on August 23, 1631, and landed in Boston or Nantasket on November 2, 1631. John settled in Roxbury, MA, and became a freeman on March 4, 1633. He was a member of Eliot’s church, being listed as number 15 on the church list. He had six children born in Roxbury. Three died in infancy. The other three were Elizabeth, John Jr., and Samuel. In his will, dated June 4, 1642, he bequeathed his house, land and goods to his wife, to bring up the three living chidlren. William Heath and Philip Eliot (brother of John Eliot) were named as overseers of the will. The marriage of a John Perry to Ann Newman in Sawbridgeworth in 1629 has been assigned to the Roxbury man, but there are reasons to doubt this. First, we do not see a Christian name for the wife of John Perry of Roxbury. Second, his first known child is born eight years after this proposed marriage. Since the only daughter of John of Roxbury is Elizabeth, & since an Elizabeth Perry marries in Roxbury in 1644, it is possible that John Pery married in Roxbury about 1636 an Elizabeth, parentage unknown, & she then married John Hanset. A recurrent error has this William and/or Thomas Perry married to Sarah Stedman, daughter of Isaac and Elizabeth Stedman. However, as shown by Robert S. Wakefield in “The Family of Isaac Stedman of Scituate and Muddy River, Massachusetts,” TAG (July 1994), pp. 155-159, this Sarah actually married Samuel Perry, son of John Perry and Anne Newman. Susanna Carver emigrated with her parents, Richard and Grace Carver, from Norfolk County, England, to Watertown, Massachusetts, in 1637. Appears to have been a resident of Scituate from 1637 and of Marshfield from 1657. Margaret’s husband Edmund Freeman was born 26 Nov 1620 in Billingshurst, Sussex, England. His parents were Edmund FREEMAN and Bennet HODSOLL He first married Rebecca Prence 22 Apr 1646. Her parents were Gov. Thomas PRENCE and Patience BREWSTER. Edmund Jr died before 5 Jan 1703/04. Ezra’s wife Elizabeth Burgess was born 1629 in Truro, Cornwall, England. Her parents were Thomas Burgess and Dorothy Phippen. The origins of her parents are not known for certain. His mother is variously called Dorothy Waynes, Dorothy Phippen, etc., and Thomas and Dorothy ____ Burgess are said to come from several places in England, including Truro, Co.Cornwall and Yorkshire. 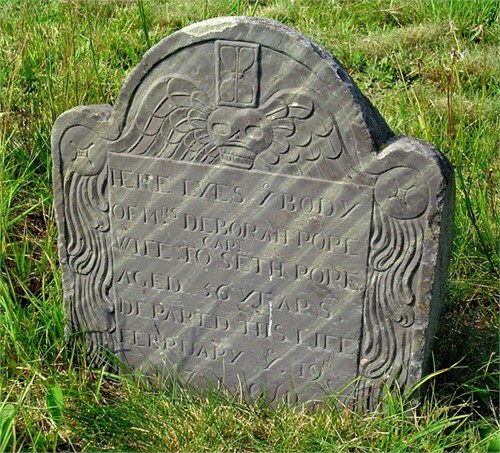 Elizabeth died 26 Sep 1717 in Sandwich, Barnstable Co. Mass. The first recorded notice of Ezra Perry in America is found in the Sandwich town records, where at a meeting in August [or September] 1644 we learn that “divers persons engaged freely to pay in goods and merchantable corn” toward the repair of their Meeting House. Ezra Perry pledged nine shillings toward the project — a very generous contribution considering his age (about seventeen, if the information we have on the year of his birth is correct). Ezra’s next appearance in the records is notice of his marriage: “Ezra Perry and Elizabeth Burge were married the 12 day of Februarie, Anno. Dom. 1651” (1652 N.S.). On 4 April 1657, “Lieftenant” Perry received four shillings pay for service in the militia, yet his name is absent from the 1658 list of Sandwich land owners. On 7 June 1659, Plymouth Colony Court (Records, Vol. 3., p. 163), authorized Ezra to serve as executor of the estate of Sarah Perry, “there being no other (although she hath many friends in the Country) that claimeth any interest to the estate, having put in securities into the Court to be accountable for the estate in case it shall be required by any that hath better title thereto…” Ezra presented the inventory of the estate the following day. A deed from the Sachem Quachatasett to John Alden, 27 July 1661 mentioned a tract of land “on that side of Manomet River next unto Sandwich: the bounds of which is from the lands of Ezra Perry…” But Ezra Perry was then still resident on his father-in-law’s tract, which the latter, Thomas Burgess, obtained “from Plymouth Court in consideration for his public service in 1652.” On 10 July 1663, Burgess conveyed half his Manomet holding to Ezra, one quarter to Joseph Burgess (his son), and the remaining quarter to Lt. Josiah Standish of Sandwich. On 29 May 1665, Ezra agreed to assist in building a new meeting house for Sandwich. On 25 June 1666, the Court granted him a small quantity of land in the Neck (about 30 acres) “where Mr. Edmond Freeman, Jr. hath his land,” and on 3 July 1667 it granted him an additional 20 acres “being in the purchase of Mr. Edmond Freeman and not suitable for anyone besides, being there is no meadow on it.” On 5 June 1671, Ezra and one Edward Perry were appointed to represent Sandwich on a committee “to view the damage done to the Indians by the horses and hogges of the English.” On 3 June 1674 and again on 5 June 1677, Ezra served on the Grand Inquest. His name is absent from the 1675 list of Sandwich men “who have just right to the privileges of the town,” but appears together with that of his son, Ezra, Jr., among the names “added to a list of townsmen” in 1677. Ezra was appointed constable for Sandwich on 3 June 1679. By will dated 4 April 1684, Thomas Burgess gave “to my son Ezra Perry … two lots I bought of Edmond Freeman Jr.” and directed that if his son, Joseph, prefered not to accept certain land under the conditions he prescribed, this land would also go to Ezra. The will named “Sons Ezra Perry and Joseph Burges” co-executors. Inventory of the estate showed goods valued at £78 8s, but no real estate. Evidently, Ezra disposed of his real estate before his death, probably by gift to each of his sons on their coming of age. He also evidently gave each child a “marriage portion” of furniture and livestock. The three children who were unmarried at the time of his death received their portion by bequest. 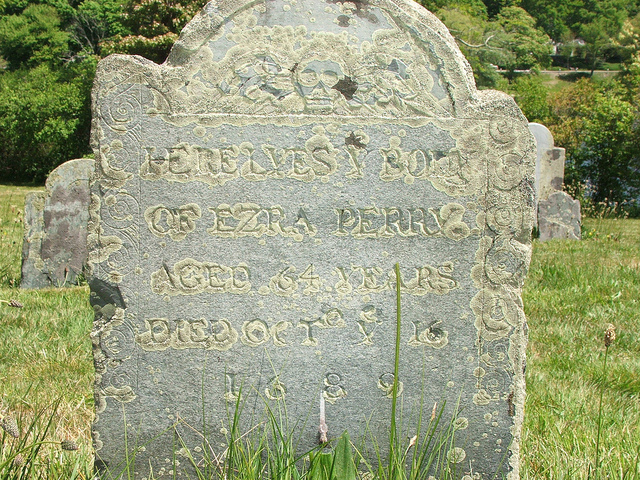 Text from a book about Sandwich- Ezra Perry’s grave is one of the five oldest in the Old Town Cemetery and his headstone is one of the oldest surviving stones in America. The in-laws Burgess headstones were replaced in 1917 by family members with the text of the originals kept. Samuel Perry Headstone “In Memory ofSamuel Perrywho died Aug’stye 18th 1751 in ye85th Year ofhis age ” – Old Bourne Cemetery Bourne, Barnstable, Mass. 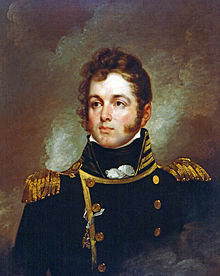 Progenitor of Naval heroes – Captain Oliver Hazard Perry, Commodore Matthew Perry, and others. Edward’s wife Elizabeth Freeman was born 2 Jun 1632 – London, Middlesex (London), England. Her parents were Edmund FREEMAN and Elizabeth Beauchamp. Elizabeth died 5 Nov 1688 – Sandwich, Barnstable, Mass. where many of the Quakers settled. His name first appears in the records of Sandwich, Plymouth Colony, for November 1652 when he was a member of a committee to acquire and store fish for the town’s use. In 1653 he was appointed a grand juryman. He was surveyor of highways in 1657, 1658, and 1674. As early as 1654 he was fined for conduct unacceptable to the established church. It could be argued that the Perry family group came to Sandwich with a widowed step-mother in order to live under the protection of one of the pioneer Sandwich families to whom the widow’s husband and/or these minor children may have been closely related. Edward Perry married about 1653. From this fact it has been assumed he was born about 1630. Regularly throughout the years Edward’s name appeared in the court records. In 1658, 1659, and 1660 he and other Quakers were fined for refusing the oath of fidelity. In 1659 he was fined for “using threatning speeches” to the marshall. In 1663 he was called to account for a “rayling letter which hee wrote to the Court”. Nevertheless, he was respected enough to be appointed to share in community duties. March, 1659/60 – The Court summoned Edward and six other men to answer about whether they would take the oath of fidelity. Edward and another man didn’t appear. The men who did appear said that they had not been duly summoned. There isn’t a record of them being fined. 13 Jun 1660 – The Court summoned Edward and eleven other men and asked them if they would take the oath. After all of the men refused to do, the Court fined them five pounds each. That is the last record of them being summoned or fined for refusing to take the oath of fidelity. The cause for some of the relief from fines and punishments appears to be due to interference from King Charles. Edward published religious writings between 1767 and 1690, with titles such as “A Warning to New England,” “To the Court of Plymouth, this is the Word of the Lord,” “A Testimony Concerning the Light,” “Concerning True Repentance,” etc. The “Warning to New England” was a series of visions and prophecies against the sins of the day. The Court fined him £50 for such words as “The Voice that called unto me: Blood toucheth Blood, and Blood for Blood. The Word spoken: O, what lamentation shall be taken up for New England to Countervail or equalize Abominations in drunkenness, swearing, lying, stealing, whoredoms, adultery and fornication, with many other Abominations, but above all Blood, Blood, even the Blood of My Children, and servants which my cruelty and cruel hands have been shed in the midst of her. In 1671 he and Ezra Perry were to view the damage done to the Indians by the “Horses and Hoggs of the English” and he and James Skiffe were appointed to “have inspection of the ordinaries”. Reportedly, Edward was the clerk of the Sandwich meeting of Friends from 1672 to 1694. One historian states that Edward was the author of several tracts setting forth the Quaker philosophy. Edward Perry named his wife Mary as executrix of his will written at Sandwich 29 Dec 1694. The will was proved 12 Apr 1695. Edward requested that he be buried at “Spring Hill burying place, among my friends there”. This spot is a short distance from the present Quaker meeting house and cemetery in Sandwich, Mass. Nine children were named in his will, all referred to by their first names only. daughter last (named) Mary. I do nominate and appoint my said well beloved daughter Mary to be my sole Executrix to this my last will and testament. Deborah’s husband Robert Harper was born in 1629 in England. His parents were Joseph Harper and Christian Nutt. After Deborah died, he married 22 Jun 1666 in Sandwich, Barnstable, Mass to Prudence Butler b. 1644 in Sandwich, Mass., daughter of Thomas Butler who was also an active Quaker. 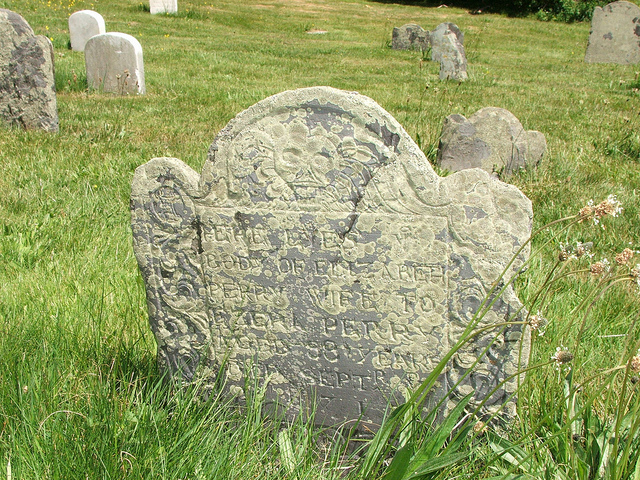 Robert died in 1704 in Falmouth, Barnstable, Mass. Robert Harper first appears in New England records at the time of his first marriage in May 1654. 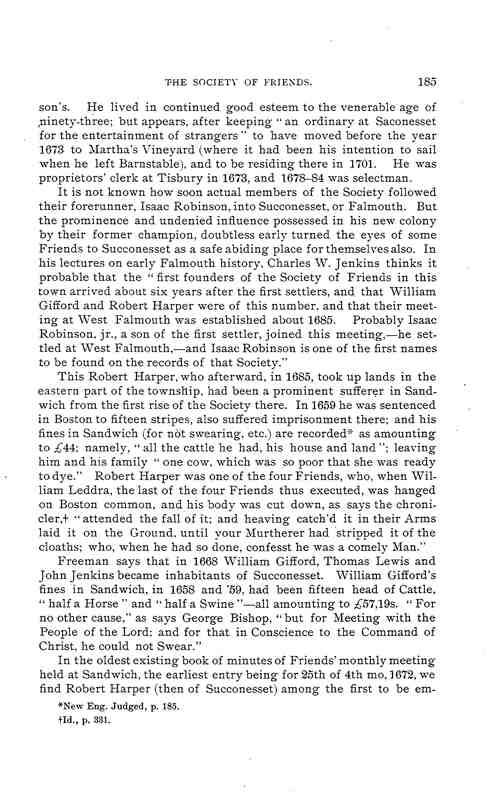 About this time the first Quakers made their appearance at Sandwich and Robert Harper soon joined the Society of Friends. His name appears among Sandwich land owners at the time of the 1658 survey. 1 June 1658 – He appeared before the court for failure to take the “oath of fidelitie”, and was fined £10 on at Plymouth, Plymouth Co., MA, New England. 2 Oct 1658 – Robert Harper was fined £5 for refusing to take the “oath of fidelitie”, along with twelve others of Sandwich, and was fined £5. 7 Jun 1659 – He appeared before the court for failure to take the “oath of fidelitie”, and fined £5 at Plymouth, Plymouth Co., MA, New England. 6 Oct 1659 – He appeared before the court for failure to take the “oath of fidelitie”, and fined £5 at Plymouth, Plymouth Co., MA, New England. 8 or 13 June 1660 – Robert Harper was fined fined £5 for refusing to take the “oath of fidelitie”. This fine was imposed by the court in regards to the 7 Mar 1660 appearance. on at Plymouth, Plymouth Co., MA, New England. 2 Oct 1660 – He was convicted for refusing to take the “oath of fidelitie”, at the General Court in Plymouth; fined £6 at Plymouth, Plymouth Co., MA, New England. 2 Oct 1660 – Robert Harper and Deborah Perry were fined £4, “for being att Quakers meetings”. It is believed that the fine of Henry Howland (£4) was mistaken as the way it was written in the transcription of the records could have been misread. Robert Harper appeared before the court for “intollorable insolent disturbance” and was ordered to be publicly whipped on 1 March 1663/64 at Plymouth, Plymouth Co., MA, New England. 14 March 1661 – Friend, William Leddra of Barbados, was executed in Boston. obert Harper, a prominent Quaker in Boston caught William’s body under the scaffold when the hangman cut it down. For this sign of respect toward his dead friend, Robert and his wife, were banished. Another Quaker, Edward Wharton helped bury the body. Shortly after William’s death, King Charles II put a stop to the executions. He appeared before the court for “rayling and revileing” the local minister, Thomas Walley, Sr; ordered to be whipped on 5 July 1670 at Plymouth, Plymouth Co., MA, New England. 1685 – He recieved permission “to take up land,” where is now East Falmouth, in the eastern portion of what was then Saconnessett. He was one of eight men listed as “purchasers from the Indians” at East Falmouth, Barnstable Co., Mass. 22 April 1690 – Robert Harper sold one hundred acres of land formerly owned by John Robinson to Thomas Bowerman on at “Suckanessett”, now Falmouth, Barnstable Co., Mass. 11 June 1704 – Robert Harper witnessed the marriage of Gershom Gifford and Deborah Bowerman at Falmouth, Barnstable Co., MA, New England; , married at the home of William Gifford, both were of Falmouth. It seems probable that much of his land and personal property was taken from him because of his refusal to take the oath of Fidelity and for absenting himself from the authorized church worship. His name appears at the head of a list of Quakers, with fines of £44. It may be that because of this he had few worldly goods to leave, as no record of the probate of his estate has come to light, nor can we find the date of his death. He was living in August 1704 when he signed the marriage certificate of his granddaughter, Deborah (Bowerman) Gifford, as did the girl’s mother, Mary (Harper) Bowerman. Fortunately, the will of the childless son, Stephen2 Harper, has survived and it is this instrument which makes it possible for us to identify several members of this family group who otherwise would have remained unknown. In his will dated 17 Nov. 1740, proved 31 Dec. 1740, Stephen Harper of the town of Falmouth, yeoman, gives to his “wife Eliphal Harper one half the lot of land in Falmouth Town bounded southerly by Nathanial Hatch’s land . . . Westerly by Tobey’s land . . . Northerly by Thomas Parker . . . also the whole use and improvement of all my Real Estate together with the North end of my house and one half my barn . . . in Falmouth” during her natural life and all moveable estate and the residue after other bequests; to kinsman Stephen Bowerman all lands and meadows lying in the town of Falmouth after wife’s decease, he to pay the legacies hereafter ordered, and also the new end of the dwelling house and half the barn. To kinswoman Abigail Robinson £30 to be paid by Stephen Bowerman after “that I have given him comes into his hands”; to kinswoman Experience Gifford £30 with the same provision, and £5 each to kinsman Thomas Bowerman Junr, kinsman Samuell Bowerman, kinswomen Deborah Gifford, Waitstill Allen, Mary “Bassington” [sic? ], Experience Landers and Mary Robinson, and kinswoman Hannah Barlow. To kinsman Benjamin Bowerman. “My will is that if my wife Eliphal Harper should, after my decease, move from Falmouth and hire out the Real Estate I have given her the use of, that she should give Stephen Bowerman the Refusal of the hiring of it, he paying as much yearly for the rent thereof as any other person and if he choses it, then to let any of the rest of his brothers have the offer thereof, giving as aforesaid.” Humphrey Wadey of Sandwich is named sole executor; witnesses: Seth Parker, Jashub Wing, Theodore Morse. Wing and Morse were sworn 17 Nov. 1740 and Parker 6 April 1741 (Barnstable County Probate 5:539). Stephen Harper’s will names eight children of his eldest sister, Mary (Harper) Bowerman (Stephen, Experience, Deborah, Benjamin, Thomas, Samuel, Wait and Hannah). It seems likely that “kinswoman Mary Bassington” was a ninth child. Perhaps some reader can confirm or otherwise identify Mary Bassington. Also named in the will are Abigail, Experience and Mary Robinson, daughters of the testator’s half‑sister, Hannah (Harper) Robinson (see below). It is interesting that Stephen Harper does not name his youngest half‑sister Mercy Harper, although the latter was living unmarried at the date of the will. This omission could be explained by the hypothesis that the two were not on good terms, or by the possibility that Robert Harper had provided by deed of gift for his youngest child, so that Stephen may have felt that Mercy had had her full share of the family estate. This entry was posted in 13th Generation, Dissenter, Double Ancestors, Immigrant - England, Line - Shaw and tagged 1st Existing Headstone, Immigrant Widow, Original Member of the Ancient and Honorable Artillery Company, Persecuted Quakers, Sandwich Founder, The Lion 1639. Bookmark the permalink. I too am a descendant of Edmund Perry through Ezra. Interesting read here. I too am a descendant of Edmund Perry through Ezra. Thanks for all the information, photos and other things you have found. I was wondering about Sarah Betts as some people had her as Sarah Betts Crowell. But I saw, as you did, that Ezra’s son, Arthur married Elizabeth Crowell, and her parents were John and Eleshua Yelverton Crowell. Excellent information here! Who is the “Irving” you mention towards the top when referring to Edmund’s possible death in 1614? I am a descendant of his daughter, Margaret. Thank you. Great information. Edmund (Edward) is my 9th Great Grandfather and I’m having problems as you finding the correct lineages. If some see a Sir or Knight, they immediately add it to their family tree regardless of supporting information. I haven’t found the ship that Edmund and his family arrived on. Great suspenseful stuff this genealogy! Never know what you’ll find. I’m developing a Hawkins site on WordPress. I’ll send you the link when I’m “done”.